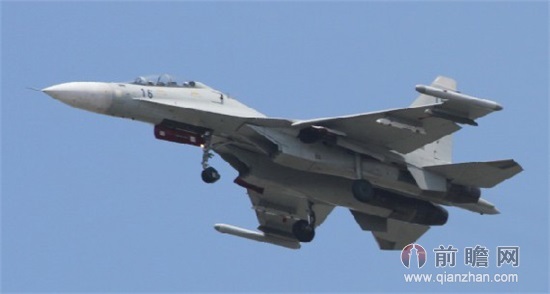 Even if technical snags and Intellectual property hubbub are fixed regarding the J-11B. Seriously doubt PN will be able to get any sort of nod from government to buy these. With acquisition plans more focused on surveillance and anti submarine ops as well as surface combatants and God knows what submarine (thanks to some business deals) fail to see any funds left for an acquisition like this. On a personal level with PN`s objectives in mind the Mirage 5 does a pretty good job. With an avionics upgrade and a more decent ASM on board, i fail to see any requirement for another A/C to do the job. However, if government is ever serious about the matter , viewing Pakistan Navy`s defensive posture. A JF-17 aided by an Awacs can deliver the long range lethal munitions as well. By 4 you mean squadron or just simple digit ! Considering PN is not as resourceful as PAF and Army and will never be. I dont think availability is an issue when it comes to JF-17 if the mission is so critical. Such a critical mission can only be in case PN decides to take out enemy aircraft carrier. But then it will have to fret about enemy`s air cover which will not only include CIWS , Mig-29K and soon the improved Barak. Even if the J-11 is the platform of your choice. I balk at imagining any major hits. And what about the ordinances? C-803s and C-802s are definitely not the way to go. Babur will not be discussed here. Different missile for a different mission. We do NOT need a dedicated naval fighter. JF-17 can already do the same that Mirage V does now. If you want something a bit more, J-10's and F-16's will be able to carry two anti-ship missiles each. Why do you think our entire F-16 fleet being upgraded to carry Harpoon-II's? To use it against tanks? I agree ! Not really a need for the dedicated fighter ! You'll need to improvise some 5-6 fighter likevna guard and falcon with heavy thunder cover ! This discussion on getting J-11 is all academic in my opinion because 1. We can not afford another type. 2. We do not need another type. 3. It is not available from China. Interesting how it strongly mirrors what tphuang was saying just a while ago...people on this board must cut the bashing and own up to their mistakes. There is nothing intrinsically wrong with wearing work uniforms in public. Maybe it wouldnt hurt for the public to see Sailors in work uniforms. Oh, and if thats how they did things in the 80s then it must be the right way to do it. The China made J-11Bs have some serious engine problems. As far as I know, all of the J-11Bs in the PLA Air Force are grounded. So it is impossible for the chinese to export J-11. I can already envisage a modified FC-20 for naval purposes. Range and payload wise it's very well suited for such a mission. The J-11 simply doesn't comply to Pakistani doctrine and requirements. PN simply doesn't have the resources and infrastructure in place to maintain and accommodate the J-11. The FC-20 on the other hand will be inducted into the air force and the infrastructure plus familiarity aspect will only be beneficial for PN. A modified variant of the FC-20 is the way forward for PN. J-11 has been upgraded to J-16 now. Vietnam has imported 12 Su-30 fighter jets from Russia in order to be stronger to deprive China of its control of the South China Sea. However, China has been producing a variety of clones of Russian weapons, including J-11, J-15 and J-16 fighter jets and various kinds of navy radars and guns that astounded Russian weapon industrialists. 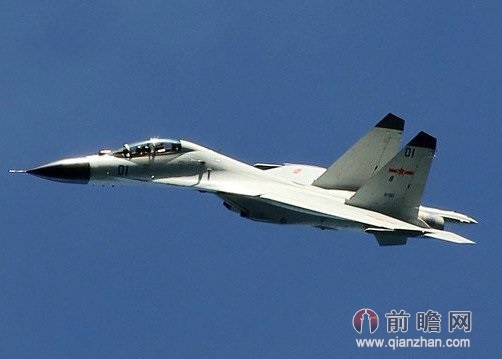 J-16s have been commissioned in Chinese naval air force to greatly strengthen it. It is a clone of Russian Su-27SK, but has increased range and has been enhanced by air refueling equipment and improved radar to have additional air-to-surface attack capability. Recently Shenyang Aircraft Corp has exposed its new-type fighter jet J-16 and said that it is the most advanced fighter jet in Asia able to contend with Su-35. J-16 is developed mainly for China’s naval air force. It can carry a maximum load of 12 tons of bombs or missiles including YJ-62 and YJ-83 anti-ship missiles. That means that it will gradually replace J-15 for marine battles. It is more advanced than the fighter jets in service in Vietnam, India and even Japan and is thus able to achieve air supremacy. Some analysts believe that compared with the Su-30MKK now in service in China’s naval air force, there is great improvement in navigation electronic equipment. J-16 is the first fighter jet equipped with a phased array radar with automatic electronic scan able to deal with multiple targets. It is similar in performance to US F-15E fighter jet., but it, in addition, has the capability of C4ISTAR data chain for acting as an AEW&C aircraft so that it can command a small team of fighters in air combat. Moreover, it has electronic war capability..
Not long ago, Russian media disclosed that China’s first batch of 24 J-16 fighter jets have been commissioned in Chinese navy. The fighter jet is capable of beyond visual range combat and is powerful in hitting targets at sea or on the land. Chinese navy is satisfied with the Su-30MK2 imported from Russia and asked Shenyang Aviation Corp to produce “Chinese version of Su-30MK2” codenamed J-16. According to Russian media’s speculation, J-16 has very advanced aviation electronic equipment able to provide accurate guidance to hit targets at sea. It is bigger than JH-7 and can fire YJ-62 and YJ-83 anti-ship missiles. Judging by the photos posted on the Internet, J-16 is powered by Taihang-10 turbofans. Its phased array radar has multi-target combat capability. The fighter jet is similar in performance to US F-15E fighter-bomb. J-16 - A strike variant of the J-11BS with longer range and upgraded avionics, the concept is similar to F-15E fighter/bomber. According to media reports, this fighter is based on RussianSukhoi Su-30MKK that was sold to China in 2000. 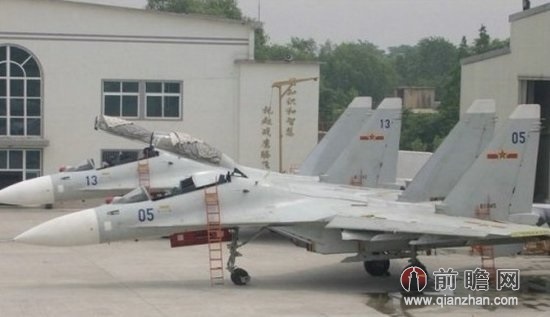 First few photos of J-16 were published on Chinese internet websites around June 2012, it appears J-16 has a slightly different vertical stabilizer comparing J-11 fighter or J-15 naval fighter. It is equipped with missile pylons for Chinese PL-8 air-to-air missiles, another difference comparing earlier J-11 variants. And its dual-seat layout is certainly different from any single seat Shenyang-manufactured Su-27 variants. J-17 - A much-upgraded variant of the J-11B aimed to be in the Su-34 class. It features a much stealthier design, internal weapons bays, stealth-optimized engine intakes, and canted vertical fins. First flight is expected to be in 2011. The existence of J-17 was first reveal in the 2nd Zhuhai Airshow held in 1998, when Aviation Industry Corporation of China publicized a video clip showing a model of jet undergone wind-tunnel testing. The model looks identical to Sukhoi Su-34 in that it had the same side-by-side cockpit configuration and the duck-beak nose that no other models of the Flanker family had except Su-32/34. Chinese internet sites have reported that J-17 is intended to be in the same class of Sukhoi Su-34, with redesigned fuel tanks in the fuselage to incorporate the internal weapons bay, while the restroom behind the cockpit of the Su-34 is deleted on J-17 to make more room, which is used for an additional fuel tank, making up the lost fuel capacity due to the adoption of internal weapons bay. However, the exact designation of this Chinese derivative of Flanker was not shown in the original video clip, and it was not after more than a decade later when the designation J-17 was finally revealed.